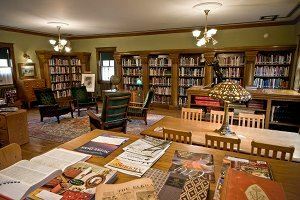 The Robert B. Beardsley Arts Reference Library of American Domestic Architecture and Decorative Arts was dedicated in 1980. Housed in the chauffeur's quarters in the original garage, the library is a free facility, open to the public by appointment. While the materials do not circulate, the library provides copy services as well as reference services. The library's catalog is accessible through the Elkhart Public Library. Books on domestic architecture emphasize the period around the turn of the century from the 1890s to the first decades of the 1900s, with particular interest in Frank Lloyd Wright and the Prairie School Architects, the school embraced by E. Hill Turnock who designed Ruthmere. Although Ruthmere itself is in the French beaux-arts style, Turnock included some Prairie School style features in the interior. An important adjunct of domestic architecture is landscape architecture, and the library has a wealth of period texts from 1850 to 1930, including several books on the wonderful English gardens and some of their creators such as Vita Sackville-West and Gertrude Jekyll. Books on painting and artists, sculpture, furniture, interior design, pottery and porcelain, and miscellaneous collectibles round out the collection on decorative arts. 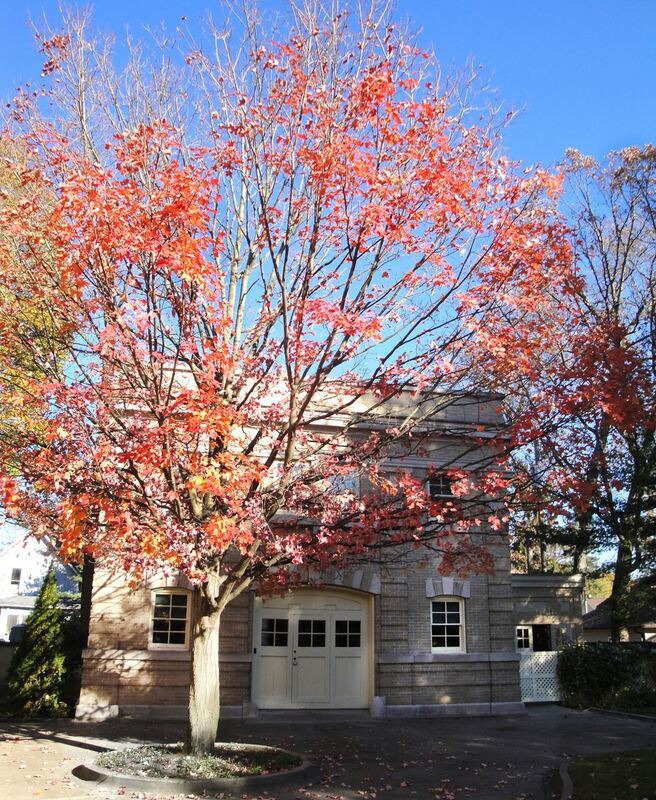 Robert B. Beardsley's lifelong passion has been the restoration of old buildings. He was the driving force behind the restoration of Ruthmere, the home of his great-great Uncle Albert and Aunt Elizabeth Beardsley, to its current status as a world-class house museum. 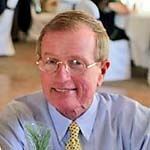 He served as Museum Director of Ruthmere until 1995, and currently hold the singular title of Founding Director on Ruthmere's Board of Directors. As part of his research during the restoration of Ruthmere, Robert amassed a large collection of reference materials on architecture and the decorative arts. These works subsequently became the core of the museum's reference library.